It’s illegal to relocate them? That is so weird and…who’s going to know? Just drive him a couple miles away and open the cage – hopefully it’s not a “she” with a family. I’ve had some terrible times with raccoons – they have almost no fear. Hope his buddies don’t show up!! 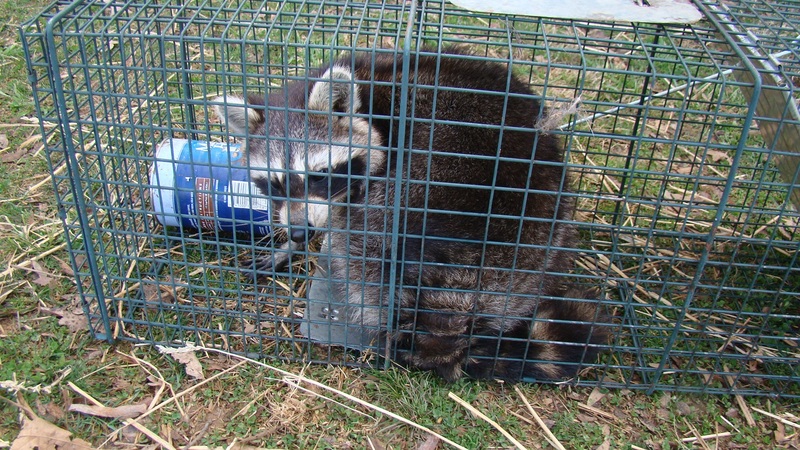 You’re allowed to kill racoons but not relocate them? It sort of makes the live trap unnecessary, doesn’t it? I think it’s the same with all nuisance animals. You’re not allowed to pass your problems on to your neighbors. He is pretty good size, too. 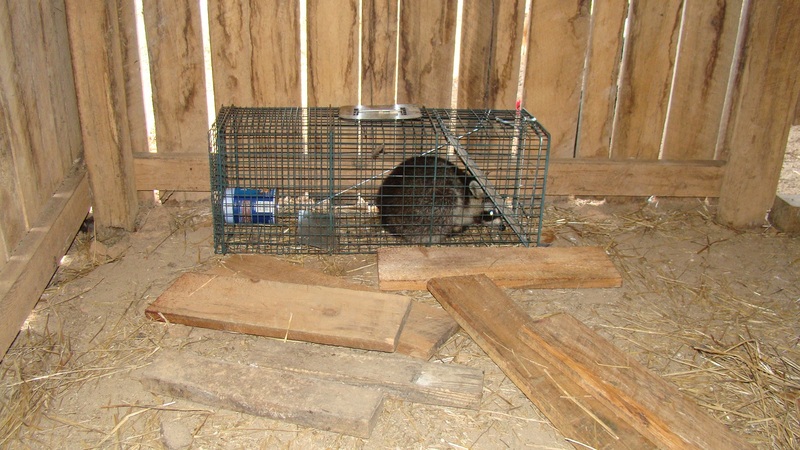 Nuisance animals really create their own set of issues on farms. They do! We lost a hen around the same time this one started infiltrating the hen house. I’m not 100% sure this raccoon was responsible, but chances are it was. Dawww, he’s so fat and fluffy. I always thought raccoons were cool. Except that one time one threw corn at me from a tree top.